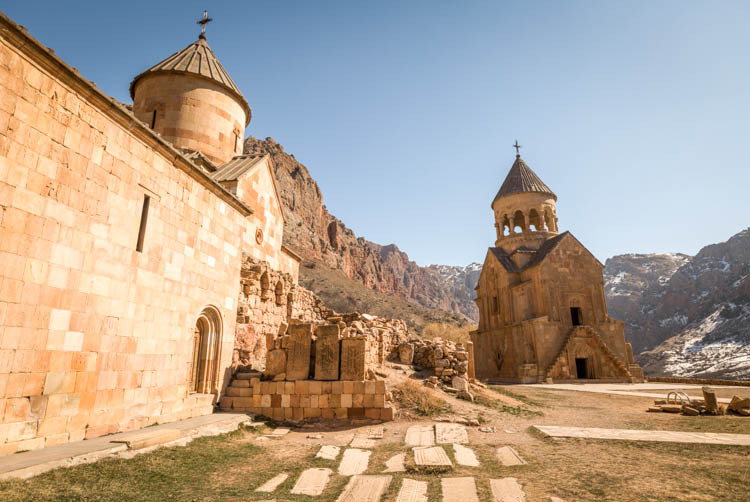 Armenia being one of the oldest countries in the world was also the first country to adopt Christianity as its state religion back in 301 AD (that’s more than 1,700 years ago!). Its millennium old monasteries can usually be found situated on highlands amongst picturesque landscapes where they are less vulnerable to attacks. 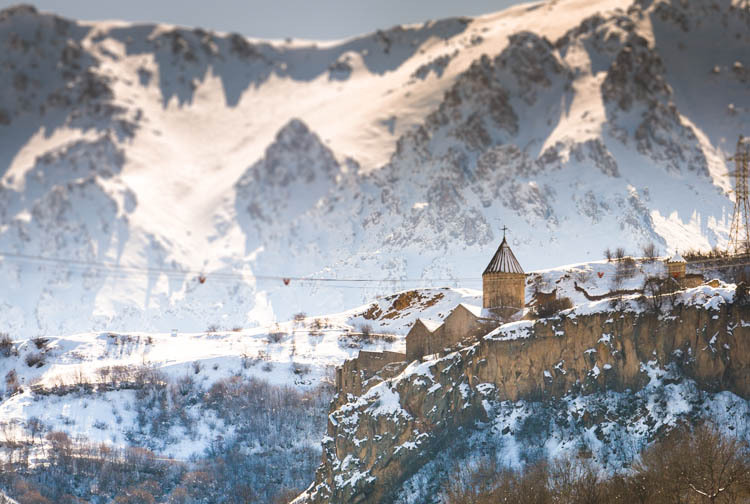 Armenia, also known as the “land of churches”, has around 4,000 monasteries and churches. 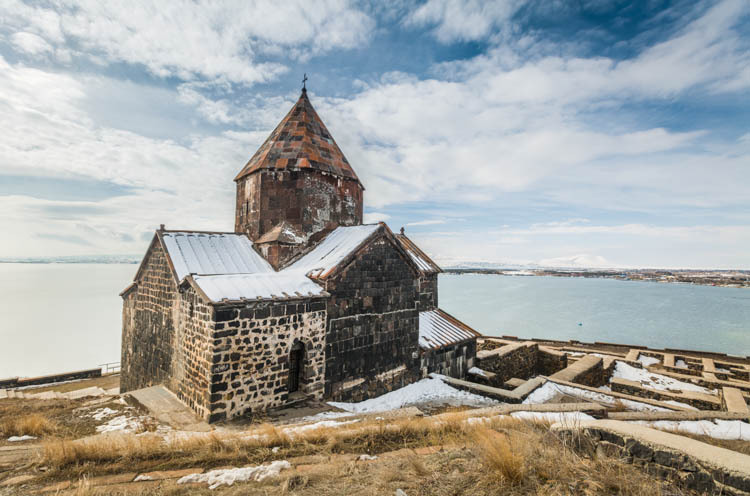 Here’s our curated list in random order for the 10 most beautiful churches in Armenia that you must visit at least once in your life! 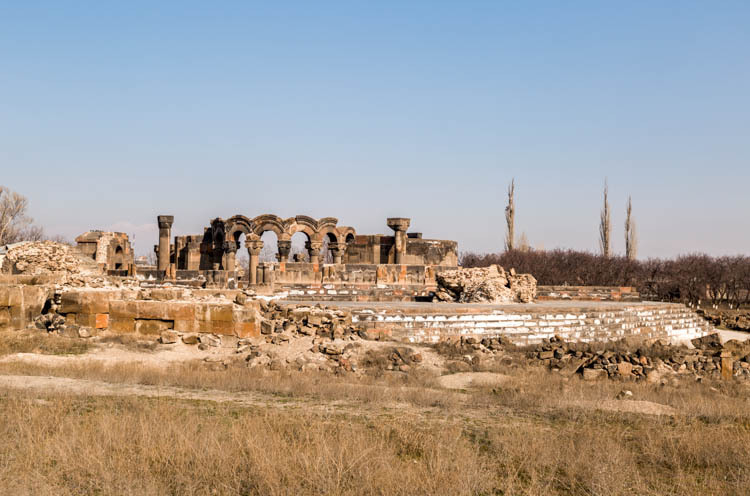 It’s no wonder why Khor Virap is one of the favourite attractions of most travellers in Armenia. The majestic Mt Ararat positioned right behind the church makes a fantastic backdrop for a panorama view of the church. 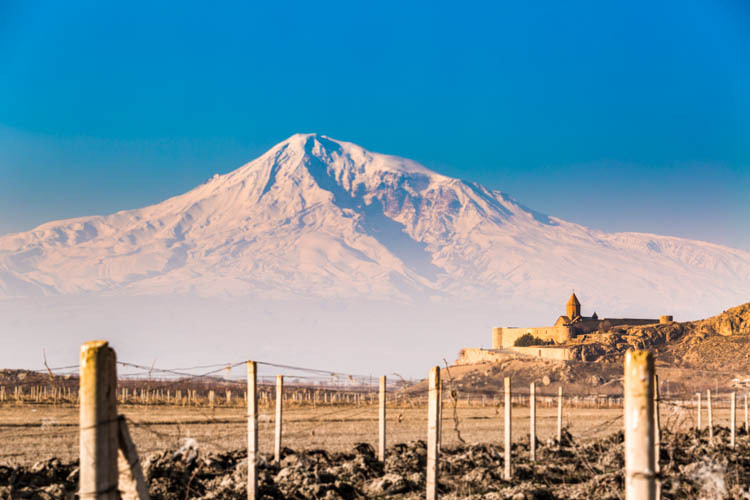 The locals also believed that Mt Ararat protected the monastery against a strong earthquake in the past. The absolutely stunning Khor Virap against the majestic Mt. Ararat. 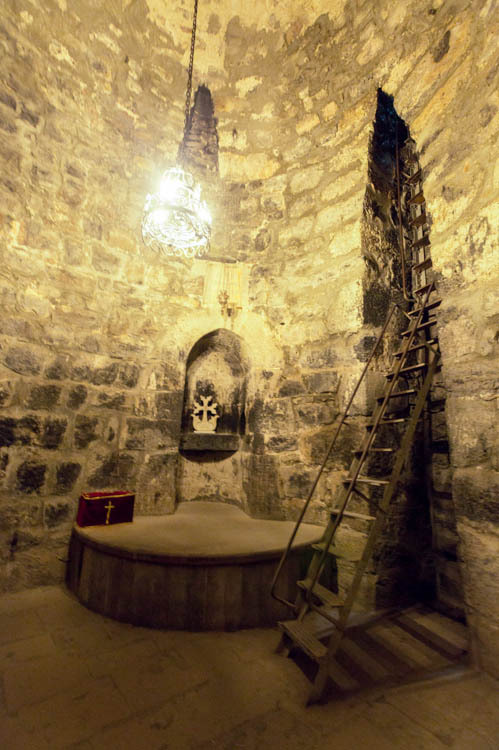 It is believed that St Gregory the illuminator was imprisoned here in this dungeon was dug 7-8 metres underground for his preaching of Christianity to the people in Armenia. It was such a miracle that despite being imprisoned for 13 years, he was still alive when they found him. It turned out that throughout the years, there was this Christian lady who continued to give him some bread surreptitiously. 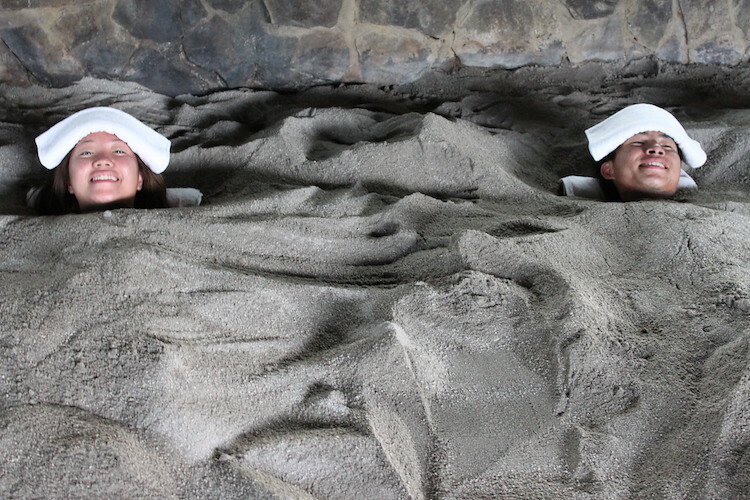 Tip: For those who are claustrophobic, it’s advisable to not enter the pit. 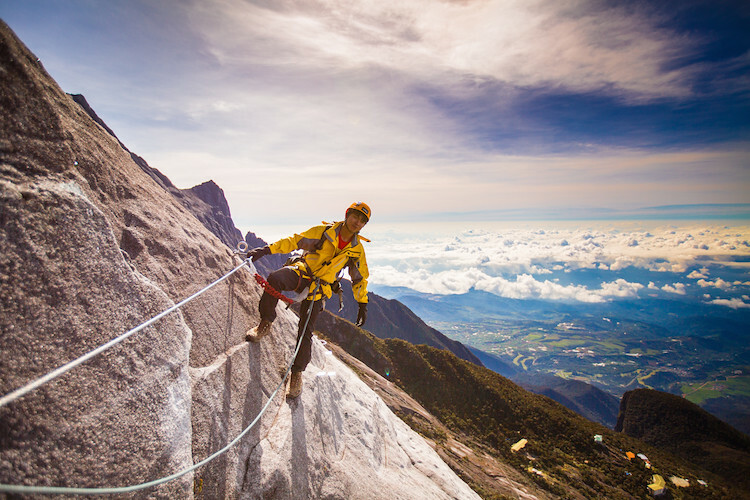 It was quite challenging climbing down the vertical ladder into the pit. 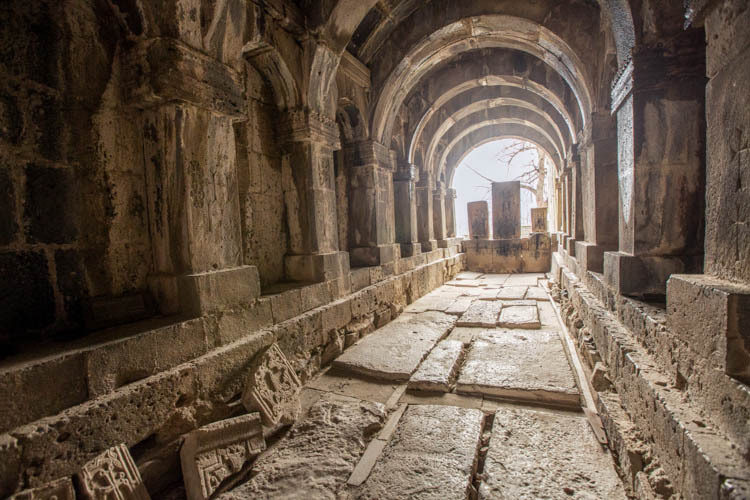 This monastery is most famous for its two-storey church whereby you will have to climb up to the main entrance via a narrow staircase made from stones jutting out from the face of building. 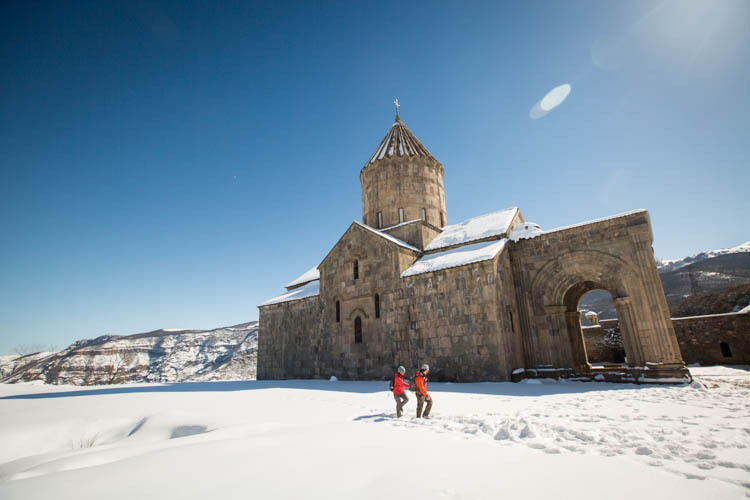 This was the first cathedral that was ever built in Armenia and also the oldest cathedral in the world. Sadly the main church building has been under construction for the past few years, hence we were not able to get a nice shot of it. The photo below shows the main entrance to this Church. This place was also the headquarter for all the churches in Armenia. And yes, this is the majestic view of the Echmiadzin church in summer when it was not under any renovation. 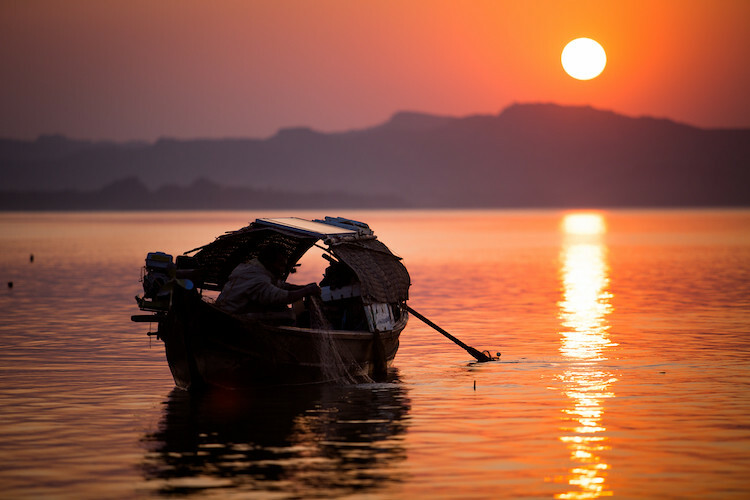 Very beautiful right? 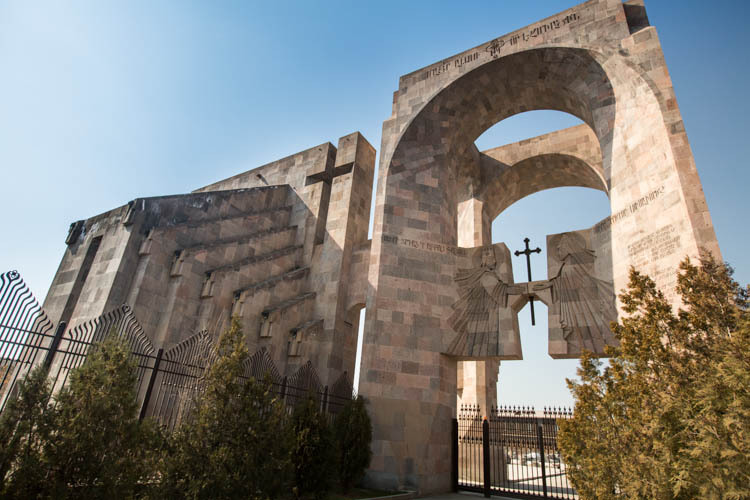 Zvartnots is also known as the “temple of ruins” and it is listed as a UNESCO heritage site. This place was the first circular 3 storey church built back in the 6th century which only lasted for 3 centuries before it was destroyed by an earthquake. 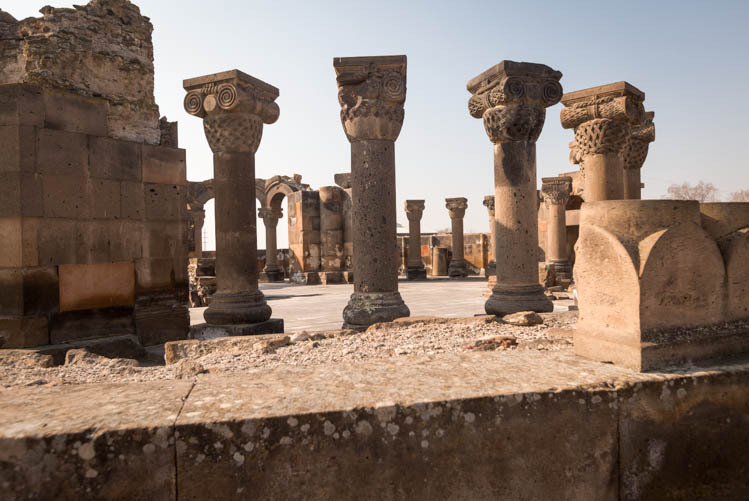 Some of the pillars and the altar of the church were relatively well preserved and you could also still see its exterior circular architecture. 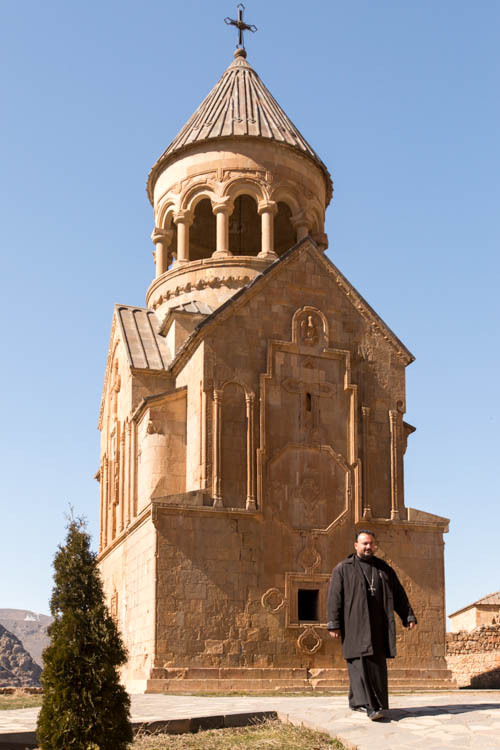 The Armenians later learnt to built more stable rectangular based churches instead of circular shaped. This was one of the most interesting and unique monasteries that we’ve seen during our time in Armenia and also my personal favourite. 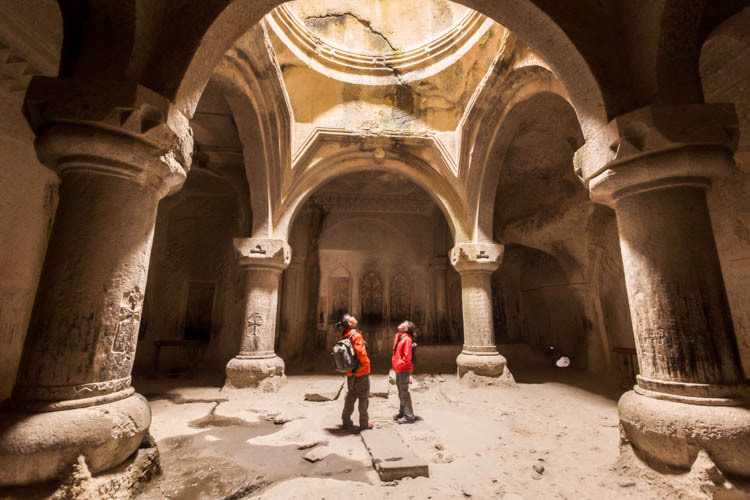 This entire cave monastery was carved inside a rock mountain, how is that even possible back then with limited tools and technology?! Its name “Geghard” means spear and this spear was actually referring to the same spear that was used to pierce Christ after he was being crucified on the cross to check if he was still alive. 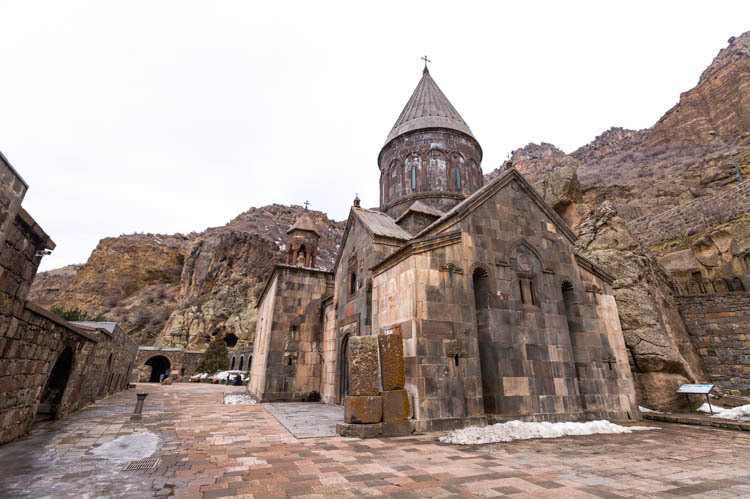 Many pilgrims head here to see the relic of the “spear” and hence they eventually renamed the monastery to Geghard Monastery (Spear Monastery). Can you imagine, this entire church was carved inside a rock mountain! Look at the details on the pillars and sides of the walls. 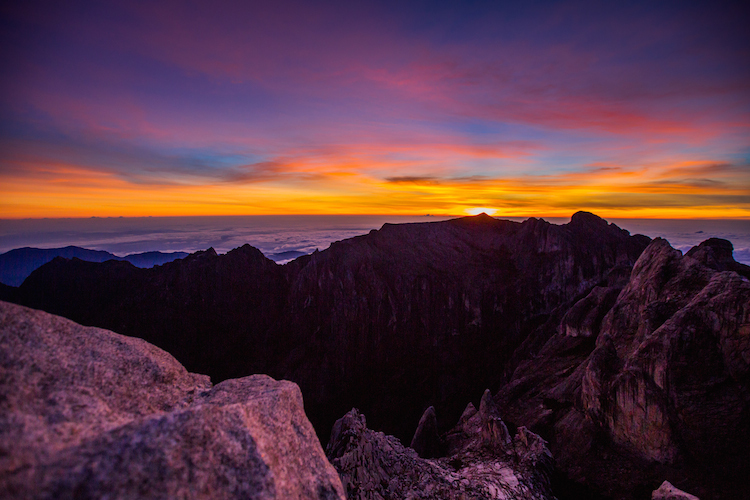 Also, the exact spot where we were standing in the photo below was said to have the best natural acoustics ever. We did try humming a tune and it immediately sent tingles up our spine! The echo was unbelievable and even the slightest whisper could be heard clearly and beautifully! Remember to try singing a tune at this exact spot if you ever get a chance to be here! 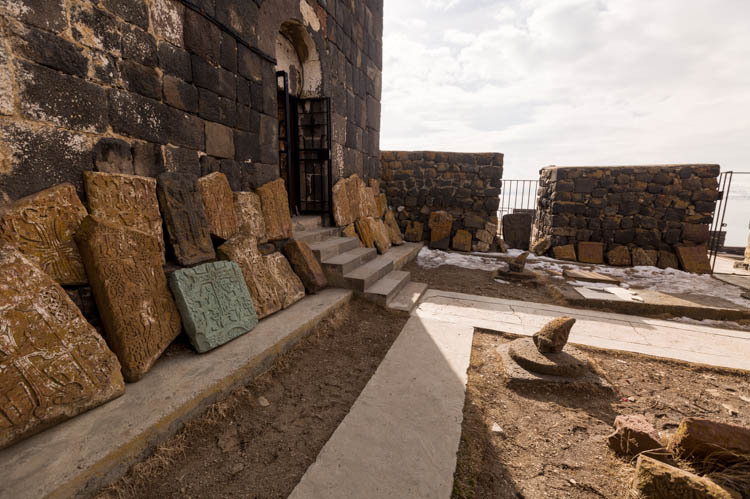 Most people travel to this monastery situated on a hill adjacent to the beautiful Lake Sevan to get a glimpse of the unique green cross stone that was made from limestone. This place was originally built for the priests that have sinned as this monastery was isolated and far away from the city and women. Also, this was one of the only 3 churches in Armenia that has Christ illustrated on the cross stone. Can you spot the outstanding green cross stone? 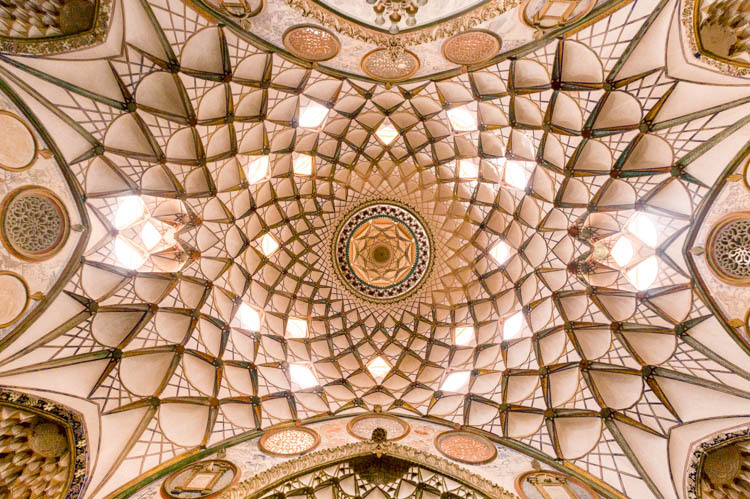 Another stunning fairytale like monastery that literally took our breath away. This was in fact Daniel’s favourite out of the lot that we’ve seen! But this monastery is definitely more beautiful during summer. Useful tip: During winter, the cable car that leads up to the monastery only operates on Sat & Sun. 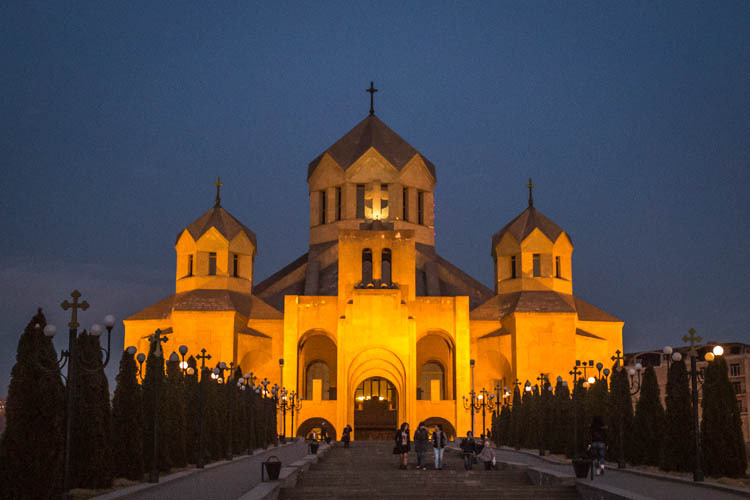 The St Grigor Lusavorich cathedral is also the symbol of the 1700th anniversary of the proclamation of Christianity as a state religion in Armenia as well as a tribute to St Gregory, the illuminator, who was responsible for introducing Christianity to Armenia. 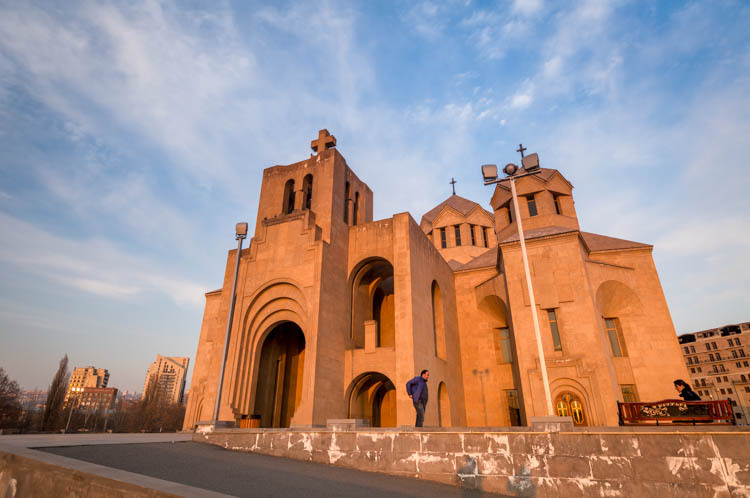 This church is one of the newest church in Armenia and was built only around 6-7 years ago. Useful tip: Visit this church twice! Once in the day and again at night. This church is particularly beautiful at night after being illuminated by the floodlights. This church was different because of its pink felsite stoned walls. Most of the other churches that we’ve seen were grey/dark coloured, so this was indeed quite refreshing for us! Especially with its picturesque setting of the magnificent ridge as the backdrop, this church quickly became one of our favourites. The Sanahin Monastery was very impressive because of its remarkable archways. The Sanahin was especially rich in Khachkars (cross stones) where more than 80 of them survived till date. If you’re visiting this complex, do remember to pay more attention to the intricate details on the khachkars. Most of these khachkars depict the traditional cross growing out of a grain with branches at its sides. According to our guide, this symbolises “life”. 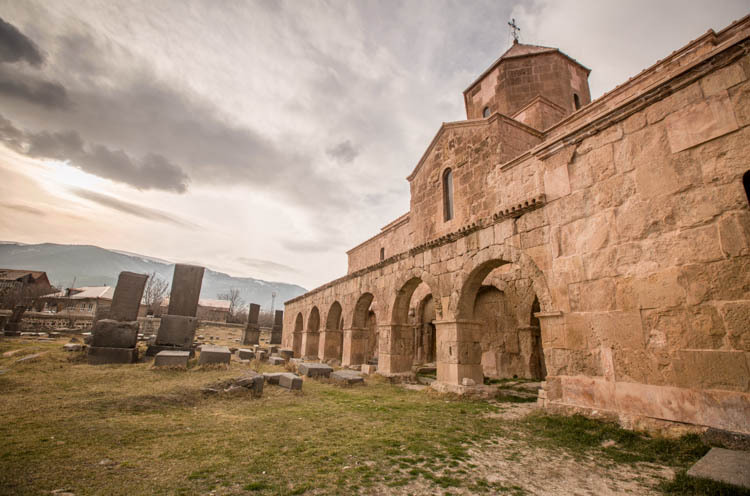 To book a similar tour which takes you to all these beautiful churches in Armenia, please visit BeMyGuest for more information. One thing challenging about travelling in Armenia is its limited public transport outside of Yerevan, especially during off peak season. To visit all of the above churches, it would be very challenging to do it on your own unless you rent a car or book a tour. 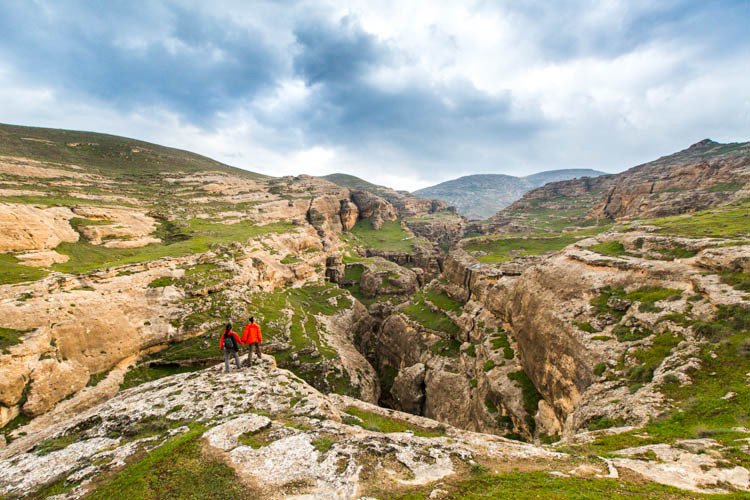 Do also check out their other exciting tours in Armenia!